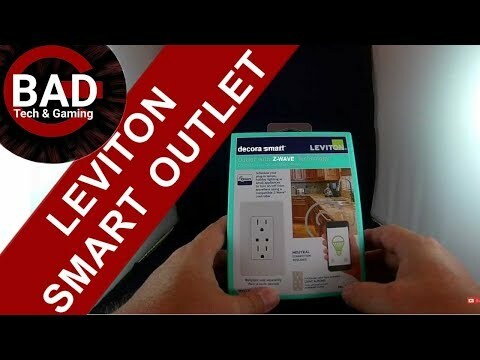 The Leviton DZR15 is a Z-Wave enabled 15A tamper resistant receptacle designed for use for most residential lighting and motor applications. A large range of load types are supported including incandescent, halogen and magnetic low voltage, electronic low voltage, fluorescent and motor loads up to 1/2 horse power. The DZR15 is fully compatible with all other certified Z-Wave controllers. 15a tamper resistant split duplex receptacle, Z-Wave compatible. Control side, 1800W incandescent, electronic/Magnetic low Voltage, fluorescent, .5 HP motor. Local Sensing: Turn a controlled lamp on by manually turning the lamp off then on. Not for use with Vizia RF+ systems. White, Light Almond and Ivory faces.